Mike Mozart/FlickrCracker Barrel is a total experience. An Idaho city is gearing up for the grand opening of a new tourist attraction — a Cracker Barrel. The Cracker Barrel restaurant and store chain has hundreds of locations in 42 states, and the new location in Coeur d’Alene, Idaho will be its 637th. It’s also the furthest one out West. And people are just about losing their minds over it, according to a delightful article by Adriana Janovich in the Spokane, Wash.-based Spokesman-Review. The excitement is palpable. 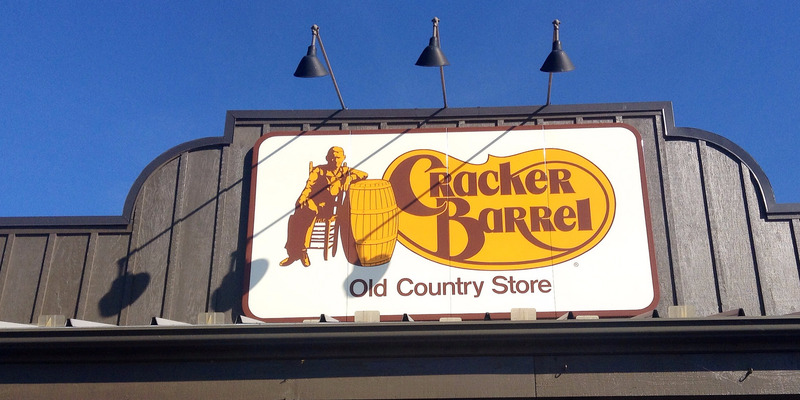 Visiting a Cracker Barrel is an experience people travel for, Lance Eads, the general manager of the new location, told The Spokesman-Review. And he’s not wrong, because people have apparently been stopping by over the past two weeks in anticipation for the opening. It might be the most anticipated chain restaurant since Grand Forks Herald restaurant critic Marilyn Hagerty wrote about a newly opened Olive Garden in North Dakota (the review took the internet by storm back in 2012). The grand opening for the Coeur d’Alene Cracker Barrel is at 6 a.m. Monday. We can’t wait for the Yelp reviews.